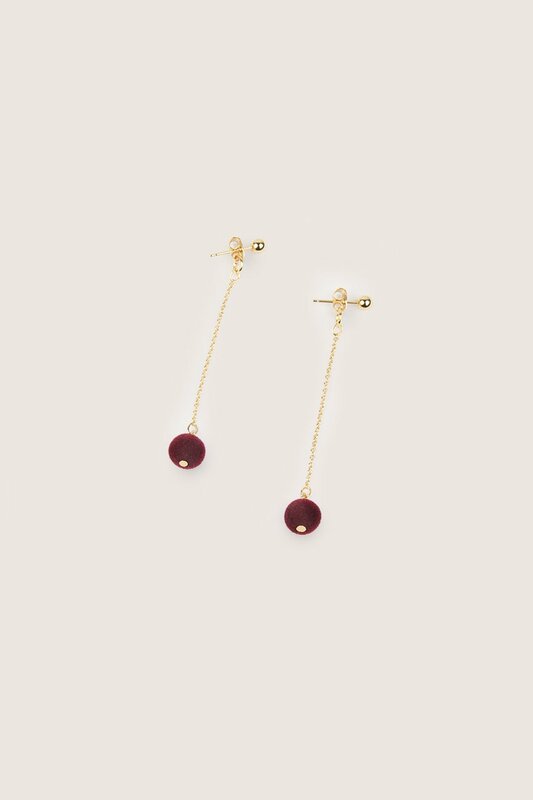 These delicate earrings are decorated with little velvet baubles that gently hang from slim gold chains. 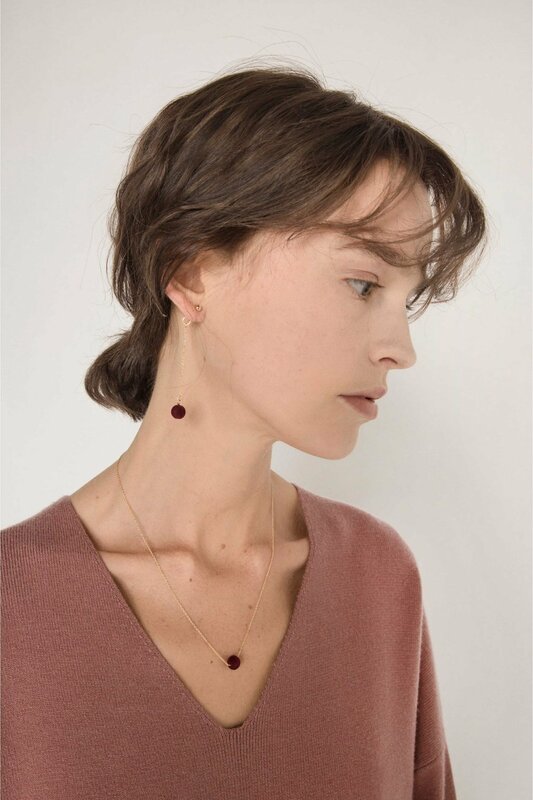 Easy to put on, the chains are attached to a simple round stud that fasten securely. 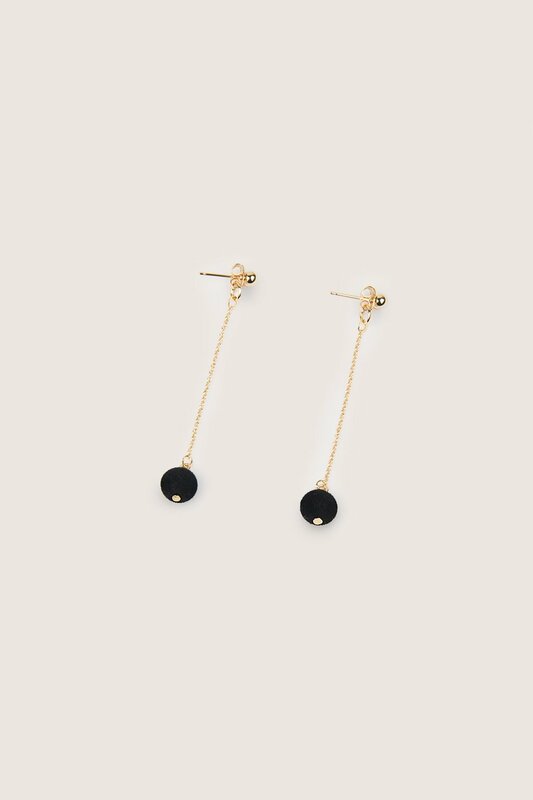 Pair with an oversized white shirt for a playful look.